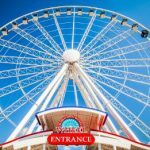 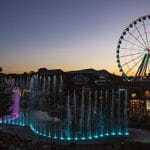 The Great Smoky Mountain Wheel sits at the center of The Island in Pigeon Forge, a new shopping, dining and entertainment destination at the heart of the city. 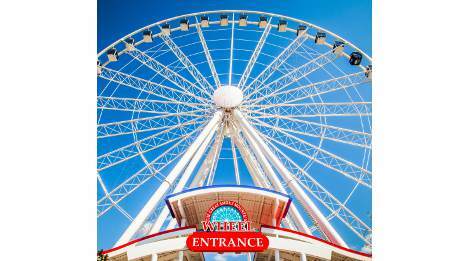 Rise 200 feet above the city for the best view of the mountains in one of the VIP wheels that is a climate-controlled, enclosed gondola on The Great Smoky Mountain Wheel! 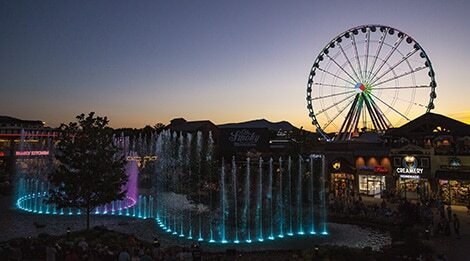 Don’t forget to stick around after dark and catch the wheel as it lights up for a spectacular LED light show!